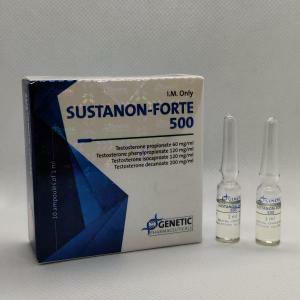 Sustanon 250 by Organon – anabolic and androgenic steroid. 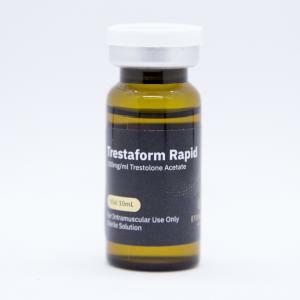 Release form – 1 mg, a dosage of 250 mg. The main active ingredient – a mixture of testosterone esters. The main hormone secreted by Leydig cells of the testes and the adrenal cortex, has a strong anabolic effect, it is a product of peripheral metabolism. By itself testosterone has a low half-life and it acts only after conversion to dihydrotestosterone carried enzyme 5-alpha-reductase. 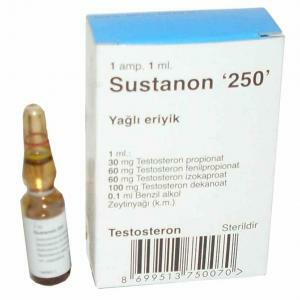 Sustanon 250 by Organon is a mix of testosterone esters: Propionate, Phenylpropionate, Decanoate and Isocaproate. Such a combination, by varying the length of its side chain constituents, provides sustained delivery of testosterone to the blood, and as a result – a long operation and no need for frequent injections. The first “triggered” is the most short ester – testosterone propionate (approximately 1-2 days) and then – testosterone phenylpropionate, behind it – testosterone isocaproate, and the latest one – testosterone decanoate. By their effect it is not different from the mixture of individual esters, but much more convenient to use. 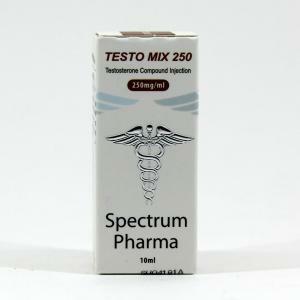 Testosterone mix can be found on the doping control up to three months after the last application. Increased muscle mass (ensuring positive nitrogen balance). Increased red blood cell formation (increase endurance). Increased sexual desire on the cycle and decline after its completion. The cycle of Sustanon by Organon is recommended for adult athletes who do not have contraindications to the use of anabolic and androgenic steroids. Before taking you must pass tests and their results, consult with a specialist. The duration of steroid use and dosage are determined in each case individually. The main criteria for selection is the age of the athlete, his training experience, experience of using AAS, as well as individual physiological indicators. 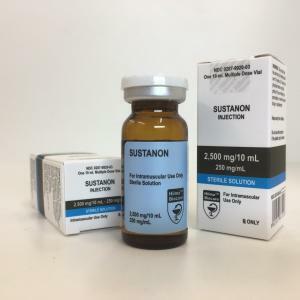 If we talk about the recommended boundary values (which, in theory, are safe enough), the duration of the Sustanon 250 cycle by Organon is two months, and weekly dose – 500 milligrams. To compensate the effects of estrogen in the second week you must include aromatase inhibitors, while carefully controlling the level of estrogen in the blood. Post-cycle therapy is Tamoxifen, which begins 3 weeks after the last administration of a steroid. Also during this period to restore natural testosterone made by the body, use boosters. 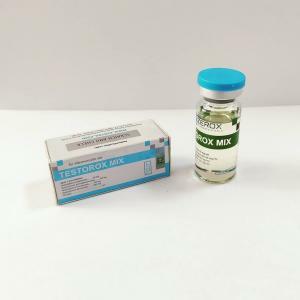 As for how to take Sustanon 250 on the combined cycles for the muscle mass, recommended combination is with Nandrolone, and for the relief of muscles and removal of excess fluid – with Winstrol. Sometimes injections of testosterone mixture accompanied by the formation of infiltrates. They usually disappear within about 2-5 weeks after completion of the cycles. 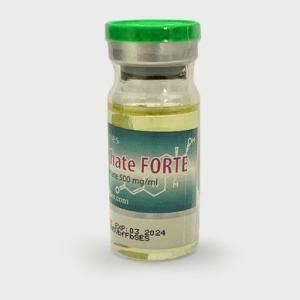 Most side effects of Sustanon 250 from Organon are related to its conversion into estrogen. Can occur: gynecomastia, a significant suppression of natural testosterone, the deposition of fat on the female type, edema. Most estrogenic reactions can be prevented by using a gonadotropin and receptor modulators as the PCT. The conversion of testosterone to dihydrotestosterone can cause such “sides” as prostate hypertrophy, acne, hair loss, etc. Some athletes complain of fever and flu-like condition of the occurrence of the disease during the steroid cycle. The most common complaints are from those who use the maximum dosage, or even exceed them. Negative reviews about Sustanon 250 by Organon from athletes who has been steadily following recommendations and requirements – a rarity. Most people are satisfied with the quality of gained muscle mass, increased endurance and increased sexual desire during the course of steroid. 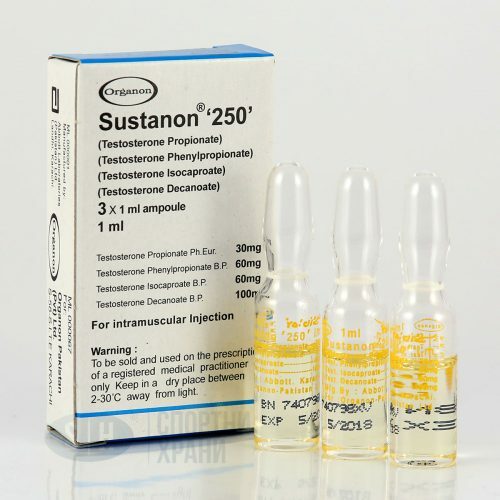 Reviews of Sustanon 250 by Organon also show the excellent compatibility of the drug with Winstrol (with orientation to the “drying”) and Nandrolone (to increase muscle mass).